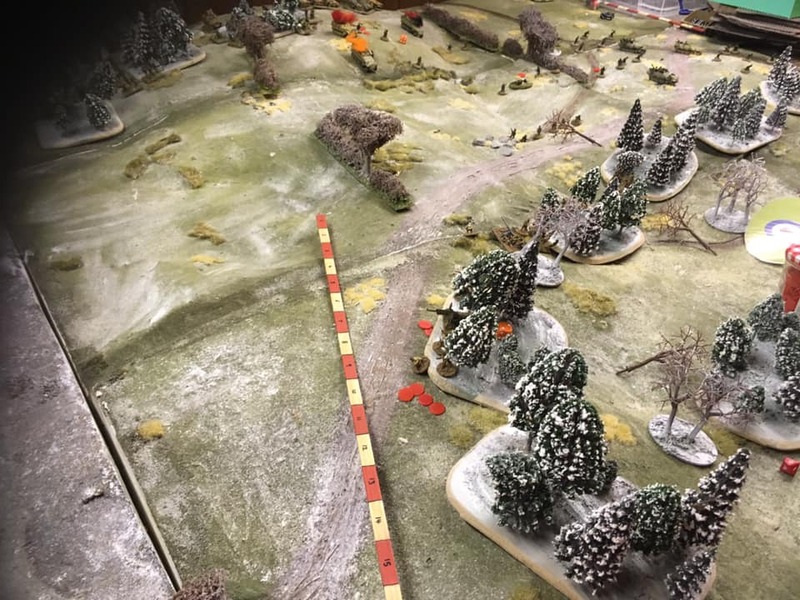 A second stab at our Ardennes game using the I Ain’t been Shot, Mum! rules from the TwoFatLardies stable. A German Kampfgruppe of two heavily reinforced Kompanies of Panzer Grenadiers races headlong towards Bastogne. 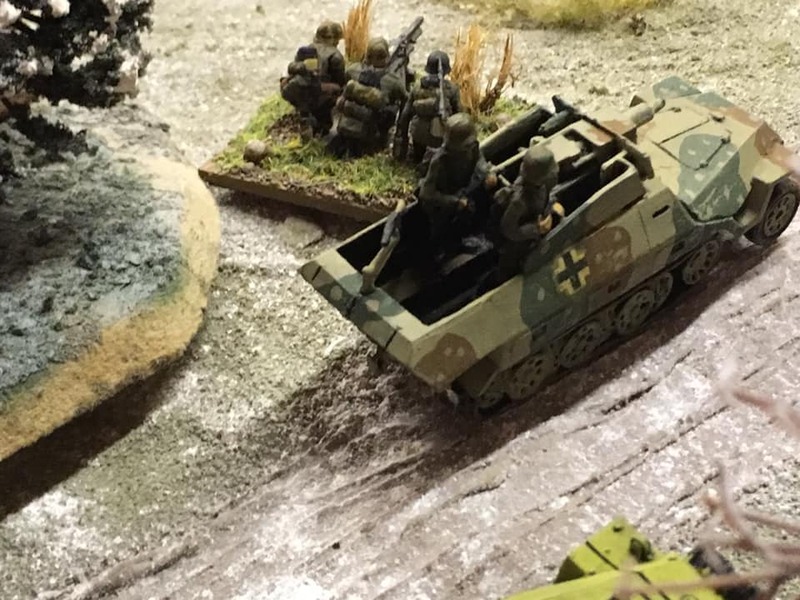 In its way, a thin screen of second-line American platoons with supporting anti-tank platoon of 57mm guns and some sketchy medium mortar off-board assistance. Can they withstand the Iron Assault? Will the Grenadiers succeed in breaking the Allied line? In the background of the first photo is yours truly, still somewhat suffering after the stroke and unable to shuffle the card pack. My excuse anyway. Great game system with some very period specifics being fleshed out.